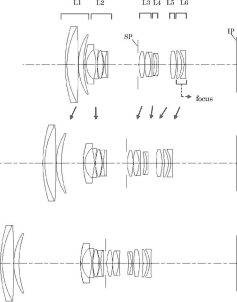 Canon patent for a 28-200mm f/3.5-5.6 lens. Not sure where to put this optical formula. Looks like a budget super-zoom.